1. Take a Certified BBQ Judge class so you know what the judges are looking for. 2. Visit a sanctioned contest and talk with cooks, reps, judges and volunteers. 3. Save some money and budget wisely because cooking contests will cost you. 4. Join your local BBQ chapter or other internet sites to ask questions. 5. 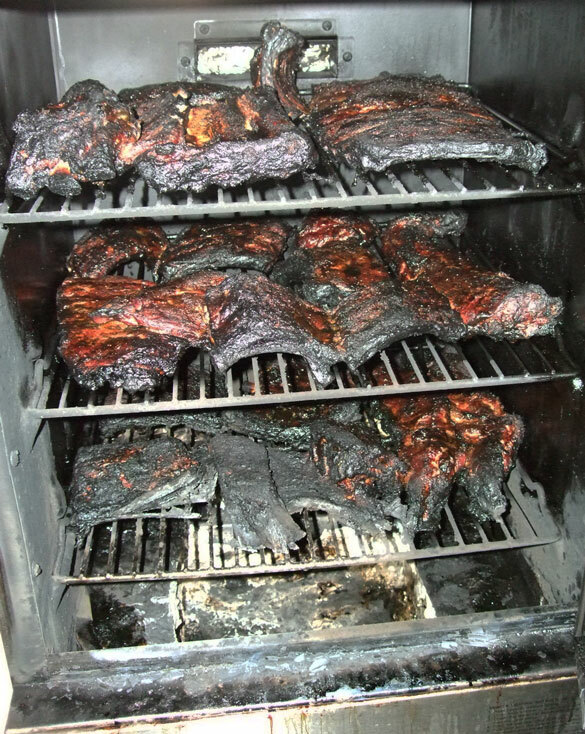 Take BBQ cooking classes to see what others are doing. 6. Make a checklist of what you need, and assign duties to your team members. 7. Practice cooking 2 meats. Practice cooking the other 2 meats. Then practice cooking and turning in all 4 meats. 8. Make a timeline for your cook and trim your meats before you get there. 9. Share advice, food and drink with those around you. 10. Love every member of your “BBQ Family”. 1. Worry about when you will take your first walk, but what lessons you’ve learned each time. 2. Insult anyone on a BBQ website. People will remember you and tell others. 3. Forget to double-check your checklist before leaving the house. 4. Hesitate to ask your neighbor if you forget something or need advice. 5. Give up on an entry after a mistake. Be smart, improvise, and push on. 6. Skip the cook’s meeting on Friday night. 7. Bring everything you own to the contest. 8. Talk to judges until after they are done judging. 9. Forget to check the weather or the elevation (5% more time for each 1,000 ft, after 2,000 ft). 10. Make a contest more important than it really is. Remember you’re there to have fun. 1. Get into an argument or, worse, fight with your teammates. It is never worth it. 2. Use unhygienic or unsafe practices while you cook. 3. Lie to yourself about the cook. You won’t improve. 4. Start a grease fire at a contest. The stories will never end. 5. Leave a mess at a contest site. The promoters know where they put you. 6. Dehydrate or sleep deprive yourself. It’s a 30 hr marathon. 7. Be a sore loser. Be gracious always and congratulate the winners. 8. Cheat. Seriously, that’s just dumb. 10. Go to a contest with your heart or intention in the wrong place. Your energy from your negative thoughts and emotions will show up in your food. Thanks Mike! I agree with you. I also think alot of people also don’t know that at awards ceremony, we also have fun with other people win. Some of my happiest moments are watching my friends do well. Can’t wait to see you on the circuit. Don’t wait til Lancaster! Great advice Donna. I’d like to highlight 5 and 10 under the list of Don’ts. It is all about the fun. Also, don’t forget that this is for a charity as well. Good advice for backyard enthusiasts, too! I’ve never entered a contest. (want to) I just feed neighbors because I always go large!